Jump start your season in the sleek and sensible Jelina tall boot from Naturalizer®. 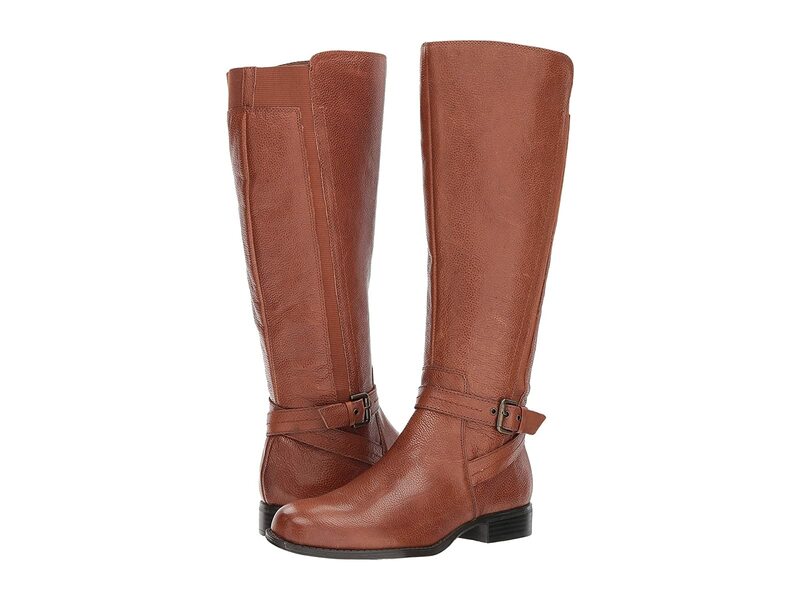 Smooth leather upper with a decorative strap and buckle at ankle and a round toe. Top and side goring offers a comfortable fit. Full-length medial side zipper for an easy on-and-off. N5 Contour technology features dual-density cushioning on a patented contoured footbed with arch support. All made with lightweight and breathable materials for superior comfort and support.